Gîte recently created of an old barn on our farm of 22 hectares. 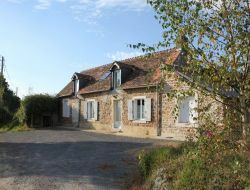 The comfortable cottage, bright and spacious, located on the outskirts of Mont St Jean, in a quiet and rural, surrounded by hills in the Normandy Maine Natural Park with beautiful views of the forest of Sille. 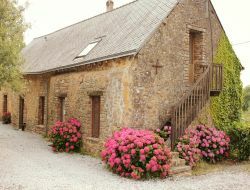 Recently renovated, La Ferme des Orques is a big family holiday cottage of charm which? Allows to welcome up to 15 people within its 5 bedrooms, a big room in beams and visible stones (50 m²) as well as a large kitchen (15 m²). 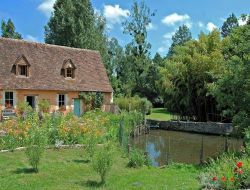 In the Sarthe (Loire Area), 2 steps from the zoo of the Arrow, the Moulin de la Diversière offers 3 charming cottages with a capacity of 3 to 5 people with a swimming pool discovery. Total capacity: 14 people. 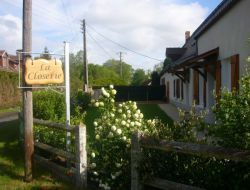 Large cottage situated in a charming renovated farmhouse, isolated in the countryside, 2h from Paris and 35mn from Le Mans. 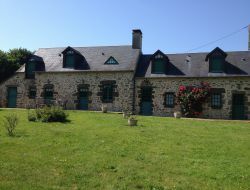 Great room and accommodation (6 bedrooms and studios) for 25 people. Catering service, free management, catalog services (catering and rental of additional equipment). Fully developable cottage at your convenience. Free firewood.